Time to pack my bags? The halo effect of Fairtrade has lasted many years, despite periodic critics popping up wanting to complain either that it distorts markets or that it doesn’t distort them enough. Development is a complex business and there is always a risk that Fairtrade is seen to overclaim what it can achieve as a way to tackle poverty. There is only so much you can pack into a label, or that you can unpack as a tool to address the deep inequalities of world trade. The research field on Fairtrade has grown over recent years, and played a helpful role in improving practice and standards from what its findings have been. I remember sitting down with a colleague from Oxfam in 1991 in Brixton around the launch of the Fairtrade Mark and trying to write up standards for fair trade products. We were starting from scratch and it was extraordinarily amateur – but it was an attempt to do something no one else had done, which is to put a frame of assurance around what consumers could do to help. Over the years, the standards have improved dramatically. They are more international, less bureaucratic. They are led and shaped by Fairtrade producers. The constructive challenge from academics and trade unions has helped to sharpen them up. The latest research is out from the School of African and Oriental Studies and while it is useful, methodical work focused on two countries in Africa, the shame is that the findings are being used to attack Fairtrade rather than help it improve. The news coverage – Fairtrade goods ‘not helping the poor’ – completely misses the point, at least on my reading. The research was focused on workers employed in the production of commodities. What it set largely aside was that Fairtrade started with a focus on producers – small farmers organised democratically in co-operatives, rather than those who came into harvest and labour on a paid basis. Of the two, the informal workers are no doubt poorer than farmers and there has been debate and improvements over time in terms of integrating their needs within the model – so that there is reflection of this in standards today. But this is not to say that smallholder farmers themselves are not poor. The strength of Fairtrade is that it gives a voice to those farmers. Of course, how they choose to share the gains is something that is up for scrutiny. But a London-based university should be wary of criticising their choices if it overlooks the fact that it is exactly this power – to make choices in a democratic way – that Fairtrade offers producers and which they do not get in the mainstream supply chain. 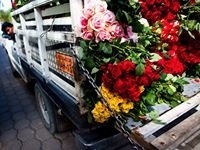 Fairtrade is good for marginal producers. All the research bears this out. It is not necessarily good for everyone involved in the long chain from farm to fork. That is a good reason to innovate and improve, but not to overthrow the model. I was part of the team that created the Fairtrade Mark and I have always said on fair trade and poverty that just because you can’t do everything, doesn’t mean that you shouldn’t do something. Good news! Co-operatives and our partners in the field of renewable energy can celebrate a very welcome decision by the Government to introduce a carve-out for community energy generators. We have helped 40 community energy generation co-operatives in recent years to raise £13.5 million from around 8,000 members through the Community Shares Unit. In the March Budget though, the Treasury introduced new limits which would have ended use of the flexible Enterprise Investment Scheme in support of these. Earlier this month, Co-operatives UK, with the backing of around 70 community energy schemes, submitted a call for Government to change its mind and guarantee a carve-out for community energy. Baywind Energy Co-operative, the UK pioneer, is currently looking to repower their Harlock Hill site, for example, with the intention that the venture will support a substantial community benefit fund. This would have been called into question without a carve-out, as could have been been a current 4MW community solar project in Cornwall, and a planned 10MW community wind project in Scotland. The case for renewable energy is compelling and the case for community ownership as a positive way through planning strife is proven. All credit to the Government for listening to the sector on this vital change. The Co-operative Group – Shakespeare’s view? For the past few months, the story of The Co-operative Group has tumbled onto the public stage like a Shakespearian tragedy. It has felt as if, when the end came, there would always be dead bodies all around and a realisation and a reckoning of past flaws. 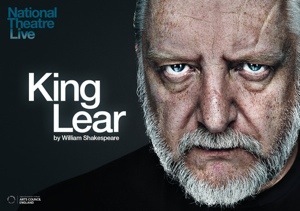 While at Co-operatives UK, we connect many, many co-operatives, not just this one, the largest consumer co-operative, it was somewhat cathartic for me therefore to watch the great actor Simon Russell Beale on Friday take the role of King Lear. So many of Shakespeare’s plays are about governance and Lear is perhaps the bleakest. With Lear and all his daughters dead, it is young Edgar that is asked to “the gor’d state sustain”. As with King Richard III, if there is any light at the end, it is the promise of better governance going forward, and closure not just through pain but through learning. The Co-operative Group, by my reckoning, is not the King though (far too democratic for that), but the suffering nation – England/Albion or Scotland (Macbeth), Denmark (Hamlet). The cast include a tragi-comic Archbishop, the Prince brought up overseas, a truculent mob (often present in Shakespeare’s plays) and a righteous, noble Lord. Some are struck down, some wounded. But, at the end, despite the pain, the nation endures, because it has to and because it is a larger idea than any of the individual characters alone. With the welcome launch of the proposals for governance reform by Lord Myners, and signs of consensus around a clear vote for change at The Co-operative Group General Meeting on Saturday, the tragedy could soon be over. We have published an analysis of the governance reform proposals that support that vote for change, and we add straight-forward options to improve further what the Myners Review suggests. We call this ‘Myners Plus’. It is right for any new governance design to be tested with care, to avoid unintended consequences down the line, but if there is consensus on the case and timetable for change, then what was conflict can become dialogue. The way that The Co-operative Group has operated has seemed eccentric to conventional media business analysts. It is the same way, though, that I have seen the fair trade movement respond to complex challenges – it is a social movement and not just a business hierarchy. What has seemed eccentric to me though has been the way that the main characters have courted external conflict as a way to make internal change. Morrisons has just suffered a sales collapse unprecedented for a large food retailer – but I doubt you will see it pay £4million for a published review of what went wrong or see those involved risk trashing the brand in public. When the case studies are written for business schools, there will be a strand on leadership and the tragic consequences of corporate self-harm. Things are looking up, after a bleak period. Risks will remain, the business recovery will take time, but it will no longer necessarily be a descent to darkness. Ipswich Town are seventeen points ahead of our club, Charlton, in the Championship. But I do love the ‘tractor boys’. It is possible to co-operate as well as compete in football. My school maths teacher, Mr Goldsmith, was a fan and used to give us double homework if they lost at home and time off if they won away. The year I did my Maths O levels, Ipswich won the FA Cup – although to be frank, while loving the time off, I was probably lucky to pass. A second reason this week is a fabulous article in the limited edition rag of Ipswich’s Turnstile Blues supporters co-operative, written by Grant Bage. I will summarise rather than quote, but he gives a set of reasons why football is not how the media portray it, which is as a form of cut-throat competition managed by sociopaths and played by villains. 1. It is played by teams, drawn from wider squads, which succeed when members pull together. 2. For every professional football team on the field, there is another team off the field supporting them – trainers, dieticians, laundry workers, coaches. 3. Teams agree to play by the rules – developed and codified over time, from muddy fights in 1860s Sheffield to today,with 208 associations subscribed to FIFA (more than there are nations who are members of the UN) in an extraordinary story of communal co-operation. 5. Teams are watched in a ground – an ‘asset of community value’ – where fans, alongside a people’s army of hot dog sellers, terrace sweepers, police constables and programme sellers, have all agreed to meet, on time, and where the home-made songs of home and away teams rise and fall. Of course, Yeovil fans, bottom of the league and facing relegation, may not agree. But, with good luck for you or bad for us, we will see you again very soon the pitch, to co-operate again.